Brian Donnelly (born 1974) known professionally as KAWS, is an American pop artist and designer. His work includes repeated use of a cast of figurative characters and motifs. 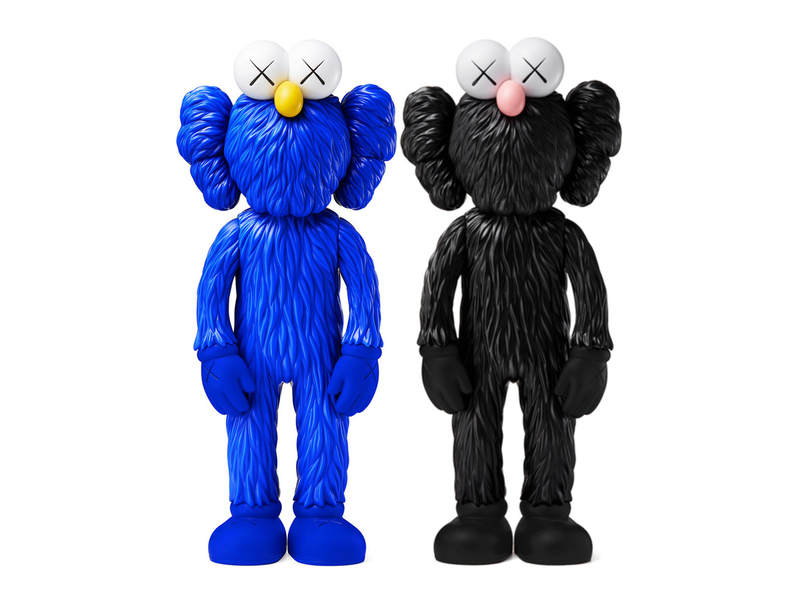 Kaws sculpture ranges in size from a few inches to ten metres tall. A pair of Black and Blue 13" Vinyl BFF Companion figures. Produced by MOMA in 2017 but now sold-out.